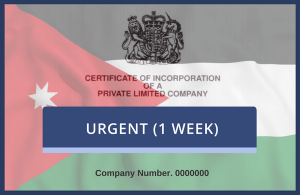 Choose below to have your UK company document(s) legalised for use in Jordan. The service options below include all the necessary steps needed to correctly legalise your document(s). If you have already been processed by the UK Foreign & Commonwealth Office (FCO) then please use our Jordan Embassy Only service.